Frustrated over detangling headphone wires? Here's a list of what we believe are the best wireless headphones that are not only convenient but serve tons of other functions you'll ultimately be grateful for. This pair of headphones has up to 45 hours of working time, and has a standby time of 800 hours. Additionally, it only takes up to four hours to fully charge this device. The earcups and headband are made with soft PU leather for maximum comfort as well as styling. The Panasonic RP-HD6M is designed with high definition audio. You can use it for all music genres as well as movies. Additionally, it comes with a noise-cancelling feature, so you will not be disturbed when you’re immersed in your world of music and films. These earcups are created with thick foam to eliminate any soreness on your ears after hours of using them. Bose has one of the best noise-cancelling technology in the market. Not only are these headphones comfortable to wear all day due to its lightweight design, it has up to 20 hours of wireless listening per charge. With noise-cancelling technology, you could immerse yourself in music paradise anytime anywhere. These are perfect for when you’re commuting with public transport, plane rides or whenever you want to seal yourself off from the outside world. These affordable headphones won’t burn a hole in your pocket. Made to be travel-friendly, it can be folded flat thanks to its swivel folding design. With an impressive 30 hours long wireless listening, you can easily listen to music on the go. Ran out of battery? Do not fret as only one hour of USB cable charging will give you 10 hours of wireless listening. The Sony MDR-ZX330BT is no doubt a worthy buy! Have you ever had the need to pause whatever you’re playing on your headphones because someone is talking to you? This pair of headphones will resolve that annoying issue for you with its ‘open-listening’ feature. With just a push of the ‘OpenMic’ button, it will mute your music and pickup exterior sounds so you won’t have the need to take off your headphones. It will also automatically pause your music when you take them off or rest them on your neck. Despite its slightly heavier weight, it does not feel heavy when worn for long hours. These are even good for home office use as it has a ‘Call’ button on the ear-cup to answer and reject phone calls. Not recommended for playing light soundtracks as the Studio Wireless focuses on bass. The iconic and stylish design of Beats by Dr Dre is sure to catch some attention and is also available in different colors. It comes with a carrying case which you can fold your Studio Wireless and tuck it in the case for travelling. Not only that, it allows a seamless transition of music as you can easily pause, skip or go back to a track and accept or reject calls by tapping on the sides of the ear-cups. However, these aren’t that good when it comes to noise-cancelling. The Sony MDR 1000X closely competes with Bose when it comes to being the best noise-cancelling headphones in the market. The noise-controlling feature is dubbed as the best, quickly dethroning Bose’s reputation as being the top. The lightweight and portable headphones are also comfortable to wear for long hours without feeling sweaty or pressed. 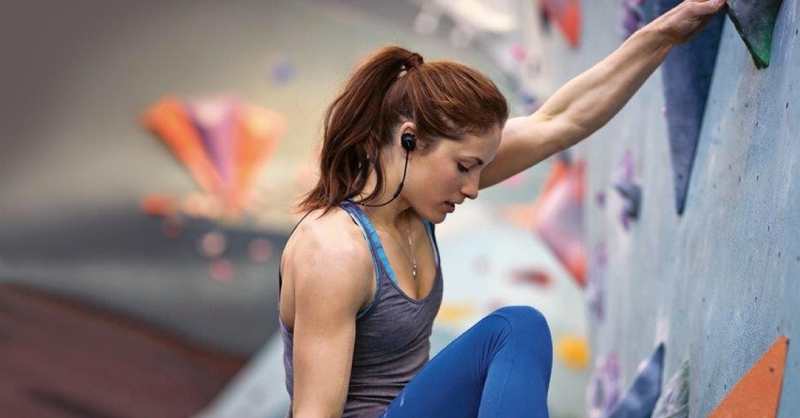 With 20-hour wireless listening and comfortable wear, you’re going to need a longer playlist! No more excuses to skip gym days with the Bose SoundSport Wireless headphone. You don’t have to pause your workout just to reach your device to change songs, volume or even take calls with the in-line mic and remote. Not only it is optimized for outdoor / running use with its ability to muffle ambient noises such as the wind or street noises, It is sweat and water resistant with good music quality. This is definitely one of the best wireless sports headphones available in the market now. Boasting a 7.1 surround sound output to give you the best and clearest surround-sound, this is the best pick for avid gamers seeking for the best gaming experience. The SteelSeries Siberia 800 is compatible with PC, PS4, Xbox One, Apple TV and Mac with a retractable mic. This is perfect for those who are always gaming for long hours due to its comfortable fit from the memory foam ear cushions and it is powered by two lithium-Ion batteries that are rechargeable which gives you 20-hours battery life.